Shawn Murphy - ESPN Press Room U.S.
Shawn Murphy is a senior coordinating producer who oversees all production at ESPN Regional Television out of the Charlotte office. He also previously has served as producer of ABC’s telecast of the Indianapolis 500 and overseeing all aspects of ESPN’s coverage of the NHRA Drag Racing Series. Murphy’s first job with ESPN was as a production intern on SportsCenter in June of 1991. He was hired fulltime in August of 1992 and became a studio production assistant on SportsCenter where he produced graphics, cut highlights and operated the teleprompter. In February of 1994 he became a studio associate producer, working mainly as a feature producer on the ESPN2 program SportsNight. He moved from studio production to remote and began work on auto racing coverage in 1995 when he was named remote associate producer. As the lead AP for IndyCar Series races on ESPN, ESPN2 and ABC, he edited teases and features and was part of the team that won a Sports Emmy for Outstanding Live Series. He became the producer of ESPN2’s RPM2Night program in 1996 and produced the Monday through Friday programs for three years. He then went back on the road as the producer of ESPN’s coverage of the CART open-wheel series from 1999-2001. Murphy was promoted to coordinating producer in 2001 and produced NHRA coverage for two years as well as having oversight of Supercross coverage in 2002. He took on his ESPNU studio show responsibilities in 2005 and was named senior coordinating producer. He produced ABC’s coverage of the Indianapolis 500 in 2006. He took on oversight of ERT event production in 2009. 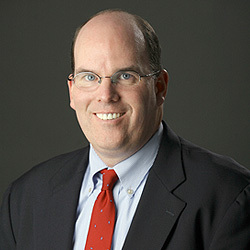 Murphy, a native of Indianapolis, graduated from the University of Dayton in 1992 with a bachelor of arts degree in communications.